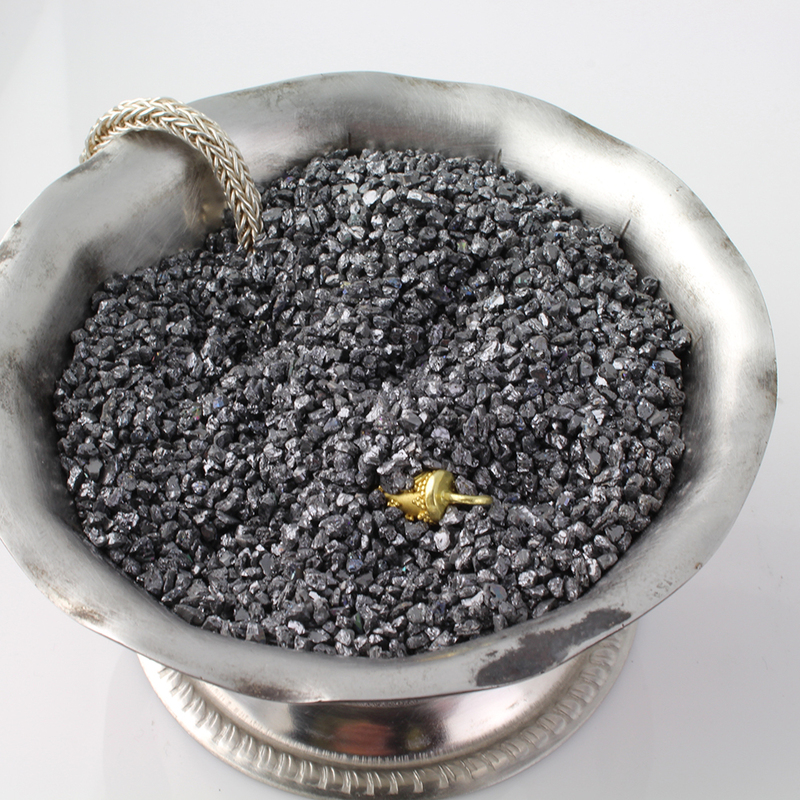 Silicon carbide—also known as carborundum grain or soldering grain—can be used to hold your piece during soldering. It consists of irregularly-shaped grains that come in a variety of grits, or sizes. It is graded like sandpaper; the lower the grit number, the larger the grain. Objects can be imbedded in the grain for protection against torch heat (such as the necklace chain shown) with the part to be soldered exposed. My recommendation is to buy a larger grain since very fine grains can be blown around by the torch flame. I prefer Gesswein’s product (shown). 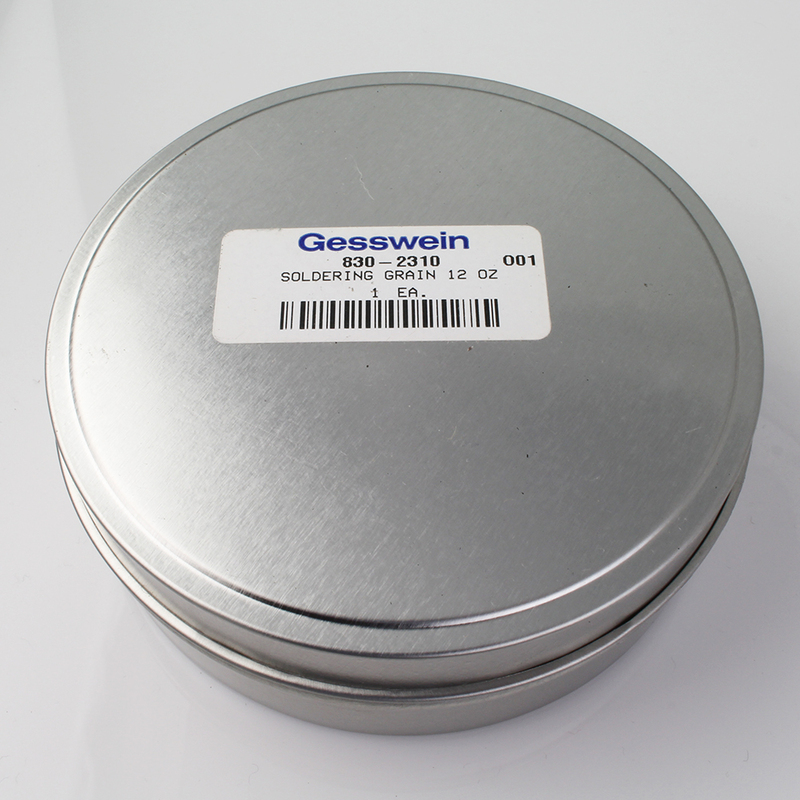 Of course, you must put it in a heat- and fire-resistant container, such as the metal dish shown, to use it. Posted in Metalsmithing and tagged carborundum, Metalsmithing, silicon carbide, soldering, soldering grain. Bookmark the permalink.